WHAT’S THE MOST RARE DIAMOND COLOR? WHAT'S THE RAREST COLOR OF DIAMOND IN THE WORLD? Red diamonds are so rare in nature, finding any is difficult (in fact, at the time of this writing, James Allen has zero in stock, and they carry thousands of fancy diamonds). Usually when you do find red diamonds in stock (the color caused by graining in the diamond), they are small in carat weight. The second rarest is a blue diamond (blue is caused by Boron, Hydrogen and Nitrogen). These diamond colors are real (found in the Earth like this). 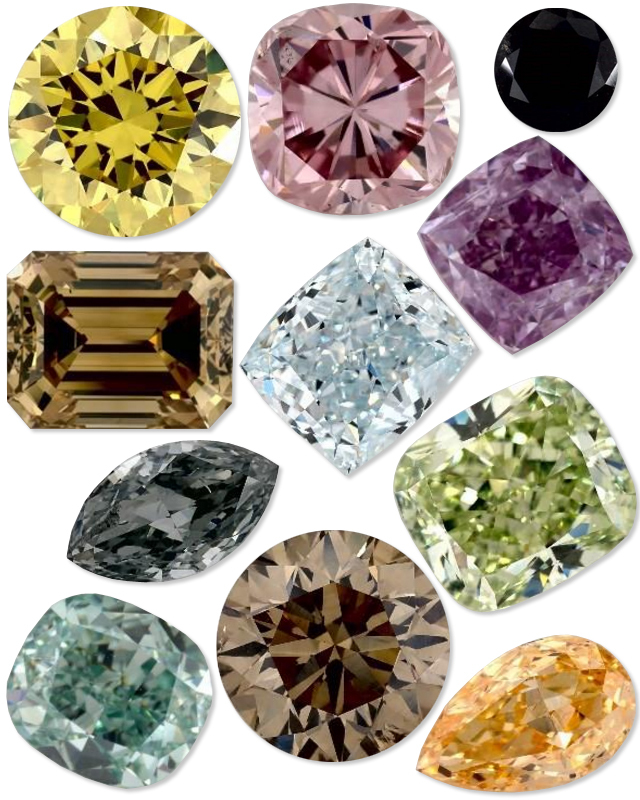 They are called “fancy color diamonds” or “fancies“. They are not enhanced or treated, they are the real deal. 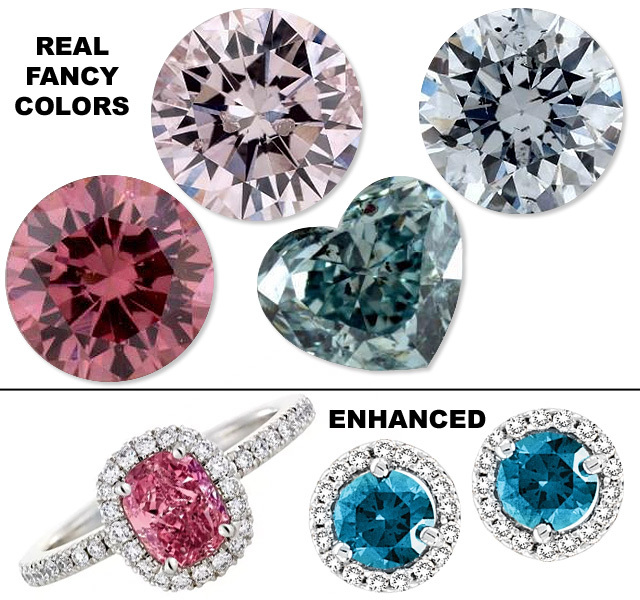 The difference between “fancy color” and “color enhanced” is the difference between real colors and man-made colors (jewelry stores carry tons of enhanced diamonds, but very few fancy diamonds). 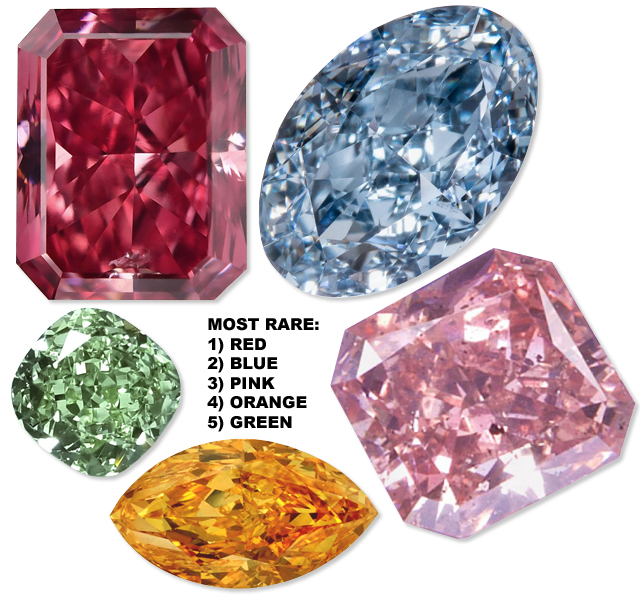 Colored diamonds are not rare. Rare means hard to find in nature (so all those pinks and blues you see in stores are NOT RARE). 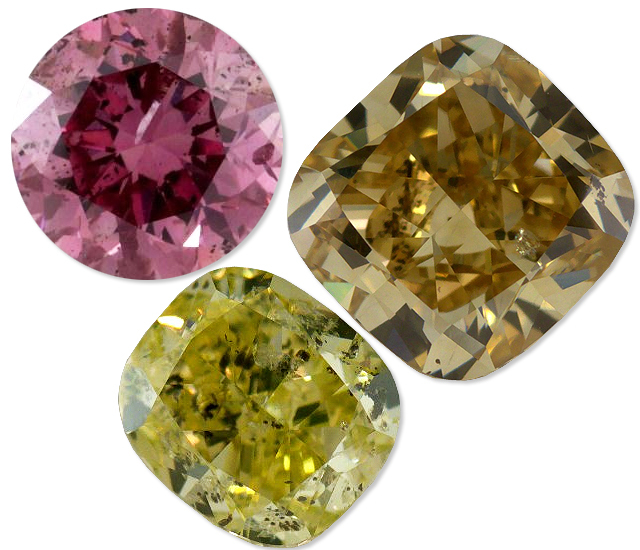 Taking an off-color, or poor color (like yellow, brown, or gray) diamond, and zapping it with heat to make it pink, blue, yellow, green, whatever color, is not rare. It’s a good use of poor quality diamonds (makes them sellable and beautiful), but they are not rare. Any jeweler can send any diamond in to have this process done. Fancies are real and rare. So rare that “color” is generally the only thing that matters with them. Clarity is not a big concern (even if it has tons of flaws). Usually clarity isn’t even listed on the grading reports. It’s all about color. The vividness of it. The consistency. The even hues (think of your body and how your skin changes colors with different body parts). It’s color (fancy colors are Z+ on the diamond color grading charts). If you’re ever wondering if a colored diamond is real or not, look for the words “fancy color“. Fancy is real (not to be confused with fancy shapes; all the shapes of diamond other than the round). 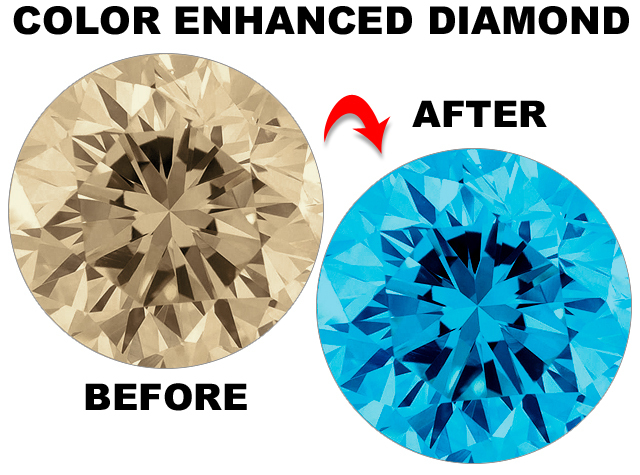 If the diamond says “enhanced”, “color enhanced“, “treated”, “heat treated“, then it’s a man-made color. Secondly, you can tell by the price. Fancy diamonds are quite expensive (their most expensive diamond right now is a yellow diamond, 47.22 carats, selling for $2,431,690). Fancies are common in yellow, but come in red, green, blue, pink, orange, gray, black, brown and even purple. Those are all real, and all rare, and are found at James Allen here. So now you know the difference. If fancy is too expensive, and you desire color, then head on over to Kay Jewelers and see all their beautiful colored diamonds here.